I love this strap by Original Fuzz! Buying a guitar strap is one of those tiny details I never think about until one of mine bites the dust. When that does happen I always find myself thinking I have no clue what I actually want! While there are so many choices out there, going into a lot of music stores, I've weirdly always had a hard time finding a strap that I like. If you aren't super into flames, spikes or skulls (metal!!) you may have too. I wanted to give you a few options I found so you have a little guide on hand for when you are in a time of need! That being said, here are my favorite guitar straps for my style and hopefully, some of them fit your style too! You may be thinking "well duh!" but I wanted to include this one because I really do like the simplicity of a favorite brand strap. I have always loved Fender products, so this is one of the straps I currently have. Obviously this doesn't make a lot of sense if you don't have a Fender so sport your favorite guitar brand! I love how boho-y this strap looks and I always love me a good Etsy product! 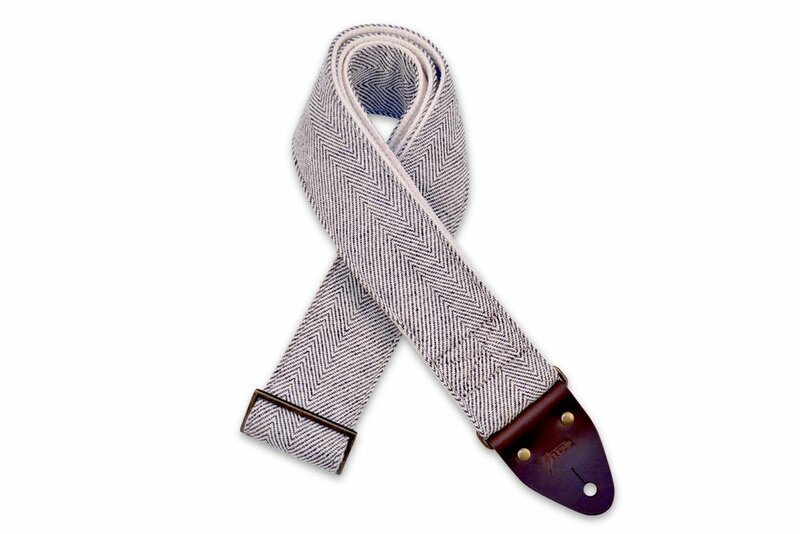 These straps are made in Long Beach California (no wonder I love them!). The suede strap is so soft so if you are playing a long gig you can rest assured it won't feel like it's digging into you toward the end. This company is based out of Franklin, TN too which is awesome! I love this company! I found out about them when I went to Porter Flea (was definitely 100 percent less trendy than everyone there!). They were so kind and helpful, not to mention they have a bunch of awesome guitar straps! The one above is one of many that I liked! I hope this little tidbit helps you with the details you don't think about until your strap starts looking worn or breaks! Let me know any others that you love!